Abstract colourful background - computer-generated image. 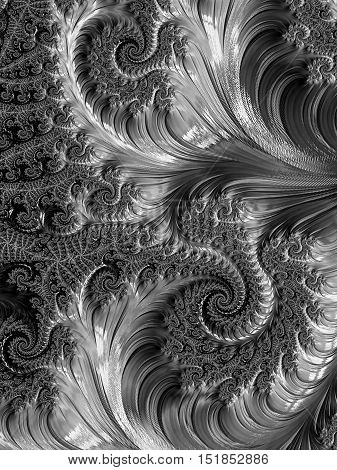 Classic fractal geometry - chaos curls and spirals, creating curlicue. Digital art for covers, puzzles, desktop wallpaper.